View of the city of Boulder from above. The airport is just to the left of the center of the picture – a bit difficult to spot from up here. Over the last month I added a US glider rating to my Austrian glider pilot’s license. I was a bit surprised by the things I had to study, which, while important for power pilots to know, have little to do with flying sailplanes. E.g., I now know the meaning of airport signage and runway markings I have only ever seen on commercial flights and will probably never get to see from a glider cockpit. I also learned how to navigate with instruments that no glider is equipped with. On the other hand, the questions that pertained to soaring were rather basic and the required “correct” answers to some of them were actually wrong. I was also surprised that there are no medical checks whatsoever necessary to fly gliders in the US. Anyway, it is curious that something like gliding, the natural conditions and physical laws of which are truly universal, is regulated so differently in various countries. Cool light effects as the sun broke through the clouds, illuminating the precipitation falling onto the foothills. I passed my knowledge test and checkride without a hitch and got all the requisite checkouts to fly solo at my new club: the Soaring Society of Boulder. I’m impressed by their modern equipment (e.g., all planes have mode C transponders and oxygen), which stands in stark contrast to the airfield itself, which is rather basic (no hangar, no services, not even running water). The people at the club are friendly, smart, and eccentric – so at least that aspect appears to be globally consistent. Sheets of rain mixed with sleet and graupel fell from the sky, obscuring the view of the Continental Divide right behind in the soft afternoon glow. Yesterday, I finally took my first real soaring flight over the Colorado foothills in the club’s four-year old ASK 21. Dark clouds indicated and delivered strong thermal lift (with climb rates of more than 10kts = 5m/s) up to cloud base at 14,000 feet). Circling in strong lift under dark rain clouds. My first orientation to the foothills ended up being relatively short lived. After an hour and a half the clouds started to get closer to the airport. When the wind direction on the ground shifted from East to West this was a sure sign that it was time to descend and land. I extended the spoilers and put the ASK 21 into a slip. Just three or four minutes later I had lost almost 8,000 feet and was down to pattern altitude and landed on Runway 26 into the now westerly wind. Soaring is not a fashion show: in addition to the dorky hat, I now also get to wear an even more dorky cannula. Flying in the American West regularly takes you to high altitudes where supplemental oxygen is just a smart thing to have (it’s also required at any time above 14,000 feet). Flying has fascinated me for as long as I remember. I must have been about seven or eight years old when I took a piece of string to strap an old ironing board onto the back of a kid’s tricycle. With this contraption I raced down a small hill in our neighborhood in an attempt to take to the air. Today, I am thankful that this endeavor didn’t work; but also, that I wasn’t discouraged. I recall folding paper gliders, experimenting with different designs to suit different purposes: gliders that could fly the fastest, gliders that could do aerobatics, gliders that would fly slowly and and stay up the longest. I even remember organizing a paper glider competition in school: our classroom was on the top floor and it was winter. In a break we would run down the stairs and open the windows in the classrooms below. Then we would run back up and launch our paper gliders out the window and see whose gliders could soar the longest. And it worked: the warm air, escaping the classrooms below, rose in the winter chill, and with it the gliders that we had carefully designed to fly in circles. I remember our excitement when several paper gliders rose high above the school building and eventually disappeared over the roof. Although we could not identify a winner of the competition, the experiment itself was a huge success. I must have been eleven or twelve when I began to build radio controlled gliders. There was a nice steep ridge not too far from where I lived. My friend and I strapped our gliders onto our bicycles and pushed up the hill to reach our slope. The ridge faced in a westerly direction – perfectly suited for the prevailing winds. 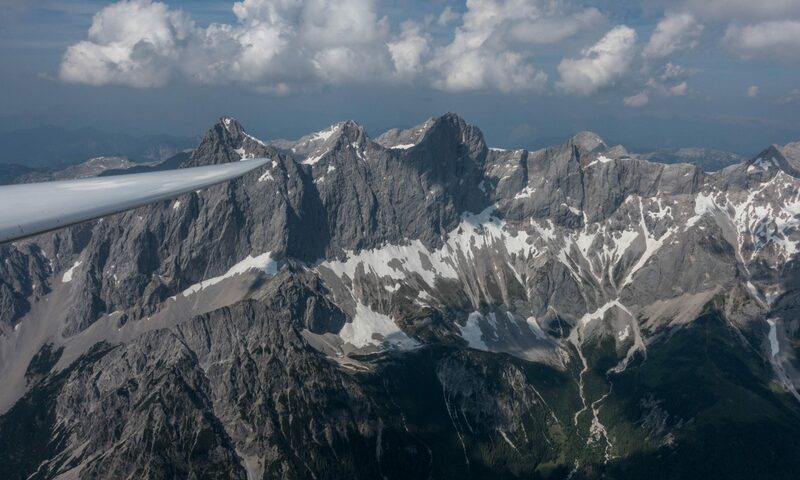 We had many long flights on that slope – sometimes several hours until our fingers would get stiff from the cold wind. We also learned some important lessons: about the difference between air speed and ground speed when the winds were so strong that a glider heading away from the ridge could actually move backwards towards it; about the dangers of ridge flying when one of our gliders was pushed into the trees in heavy turbulence; or about excessive load factors when a glider broke apart in midair during an overly aggressive aerobatic maneuver. And then, in 1983, just a few days after I turned sixteen, I began my flight training to become a “real” glider pilot. Why Start a Glider Blog? Well, there aren’t that many around. I encourage you to look at the blog roll and see what else is out there. And if you find another interesting blog or vlog (video blog), please go to the contacts page and let me know about it. To learn: the basics of gliding aren’t that difficult. If you can drive a car or ride a bicycle, you can also learn to pilot an airplane. However, when it comes to soaring I can’t think of any sport that is more difficult to truly master. I want to document what I learned so I will remember it for the future. And maybe it will help you too. To be safe: I’ll be honest: soaring is a relatively dangerous sport. Perhaps on par with riding motorcycles. But the risks can be managed and controlled by being aware of them and always staying one step ahead of potential disaster. To inspire: Who has never dreamed of flying like a bird? Who has not stared in fascination at hawks, eagles, or condors rising high up into the sky without ever flapping their wings? Soaring is not just chess in the air. Soaring is also poetry. Don’t you want to write yours? 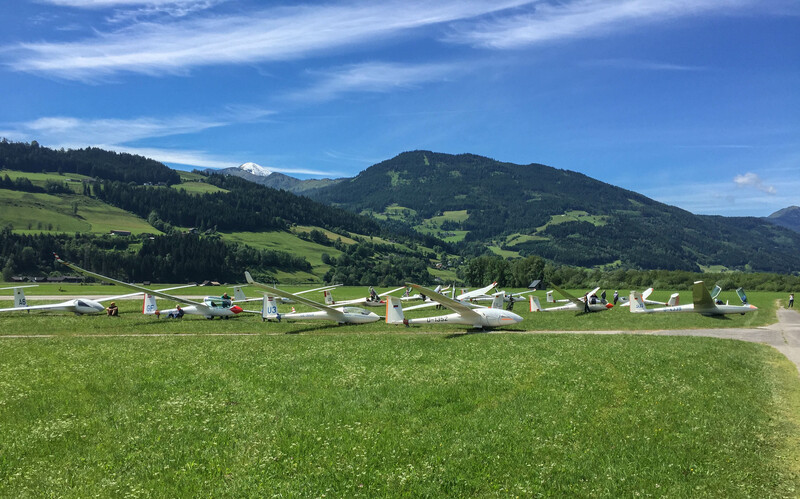 Whether you currently are a glider pilot or are just fascinated by the idea of flight without an engine, I hope you will find something of interest. I also appreciate your thoughts, feedback, and ideas. There is always more we can learn, more we can do to be safe, and more to be inspired.